I found this little eatery one day as I was looking for lunch… starving! Their set lunches aren’t too bad, one main meal and a drink for 30HKd. However, when a friend asked to meet up, I thought we would go here for dinner. It’s quite a small and cozy place – 20 people maximum. Décor is new with pictures of mountains and Chinese paintings. Service is quite good and they serve traditional and homey cooking, things that your mum would cook. We ordered hot and sour noodles, wu-shi ribs, deep fried pork chop and wonton soup. The wonton soup came out first and the wontons were absolutely juicy and tasty. The soup I thought was a bit salty for my liking, but I added a bit of chilli to my soup and it tasted better. 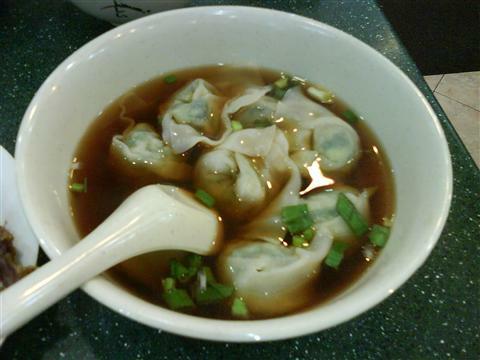 You can never go wrong with wontons… it’s a shame the soup was just a little salty. Hot and sour soup was next – it was probably too hot for hot and sour soup… however this was good – it has the right amount of both spicy and sour. 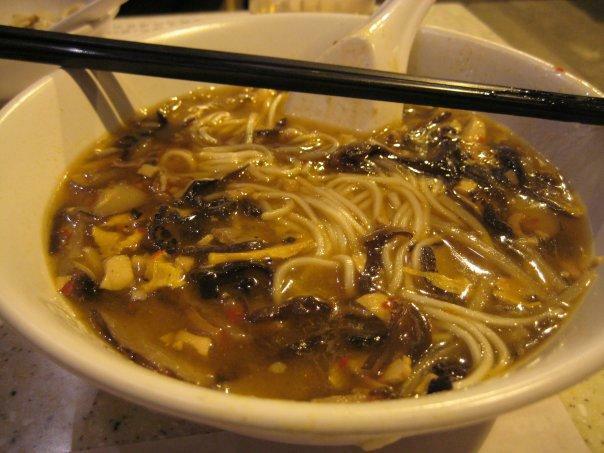 The noodles were soft and not gooey or stringey… and the mushroom were also soft – it would be a perfect meal for a cold wintery day. 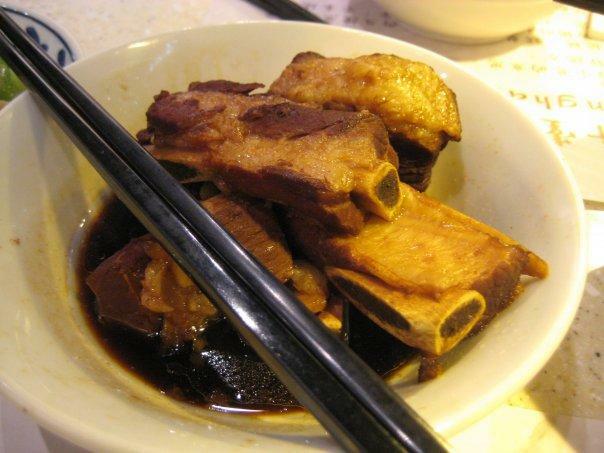 Wu-hsi ribs – I have had this for lunch before and it was divine, however, I was a little disappointed with some of the ribs, it was a bit dry for my liking and not as moist as I have hoped it would be. I say ‘some’ cause some were actually moist. 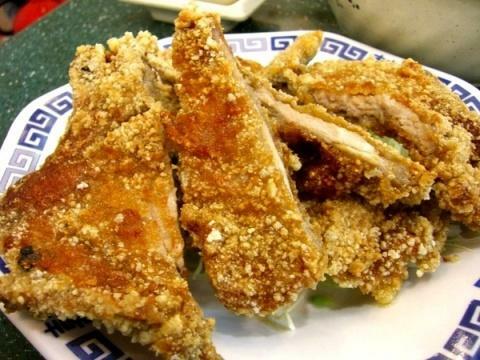 The deep fried pork chop was tasty… the coating was crispy and the pork was moist and tasty. It was crunchy and delicious.. it definitely made up for the Wu-hsi ribs. It was a good meal with friends, catching up and laughing and reminiscing about the past.